Mrs. Claus is Cooking Up Caramelized Brussels Sprouts with Pancetta! We’re getting so excited because Christmas is just around the corner!! Have you been following Santa lately? He’s been very busy around town taking photos with cute kids, families and even puppies, which means that he’s worked up a really big appetite. 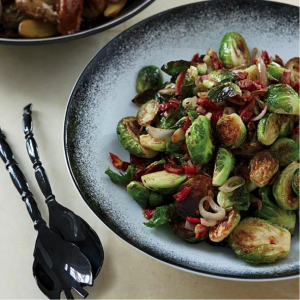 The elves were already salivating when we told them that Mrs. Claus was cooking up one of their favorite side dishes: caramelized brussels sprouts with pancetta. This side dish will definitely get the kitchen smelling amazing in no time, so today, let’s hang out in the kitchen to see the behind-the-scenes of Mrs. Claus’ latest food creation. Read on for the recipe, you’ll love it! 1. In a large pot of boiling salted water, cook the brussels sprouts until crisp-tender, about 5 minutes. Drain and pat dry. Cut the brussels sprouts in half lengthwise. 2. In a large, deep skillet, heat 2 tablespoons of the oil. Add the shallots and cook over moderately low heat, stirring, until lightly browned, 10 minutes; scrape into a bowl. 3. Add the remaining 1/4 cup of oil to the skillet. Add the brussels sprouts, cut side down, and the pancetta. Season with salt and cook over high heat, stirring occasionally, until the sprouts are browned and tender, 10 minutes. Add the sun-dried tomatoes and shallots and cook, stirring, until warm, 5 minutes. Season with salt, transfer to a bowl and serve. This is a recipe that everyone will enjoy and if you’re vegetarian, you can always remove the pancetta and voilà! And for the baking fans out there, in the past, we’ve also cooked up delicious stuffed pumpkins and apple crisp stuffed apples. For more food ideas, we suggest this wonderful list of Christmas side dishes from Food & Wine that you can use and bring to your Christmas dinner parties. 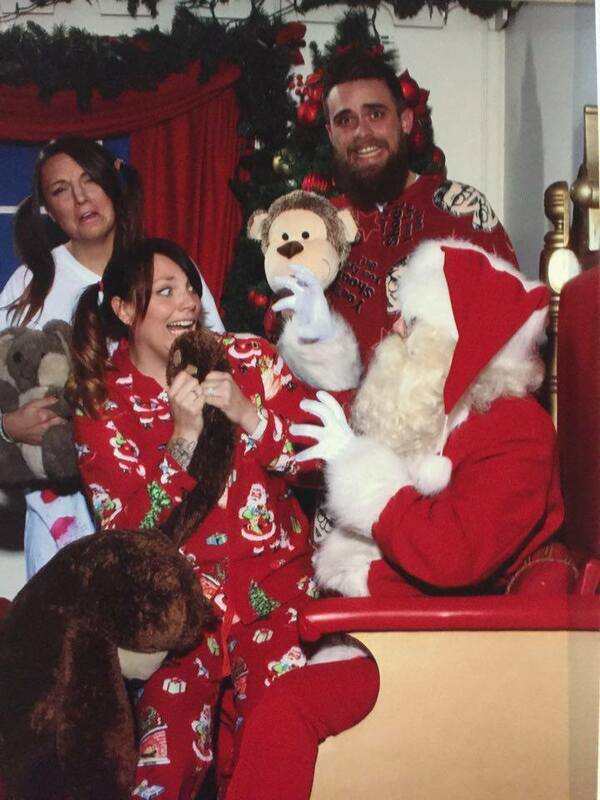 Finally, don’t forget that you still have a few more days left, until December 24th, to get your photos taken with Santa, find a location near you. 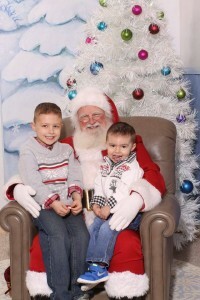 Santa’s waiting! Now, our little elves are ready to eat, so bon appétit! Santa Claus is coming to town — that is, after he wraps up his rounds of Santa photos all around the Northwest and Puget Sound Region. Have you visited Santa this season yet? Here are a few of our favorite photos past and present. 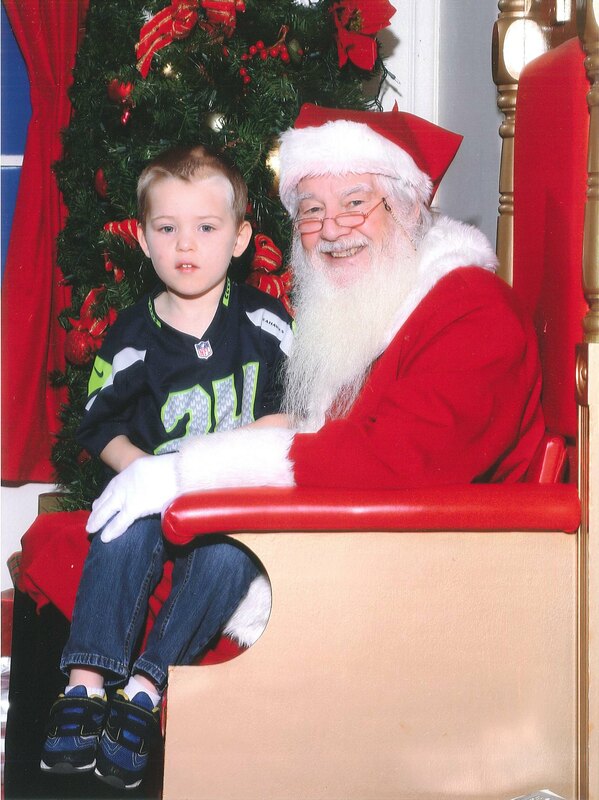 Santa Bob and this mini Seattle Seahawks fan at Town Center at Lake Forest Park — location of the original Santa Photo set from Frederick & Nelson. “Big Kahuna” and Santa Lance at University Village in the warmth of Santa’s cabin. Don’t get too jealous Rudolph. 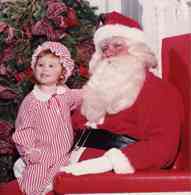 Another classic Santa photo from Town Center at Lake Forest Park. It’s a Holi-Pajama Party! Smiling faces while visiting and cheesing it up with Santa Larry at Grand Ridge Plaza in Issaquah. 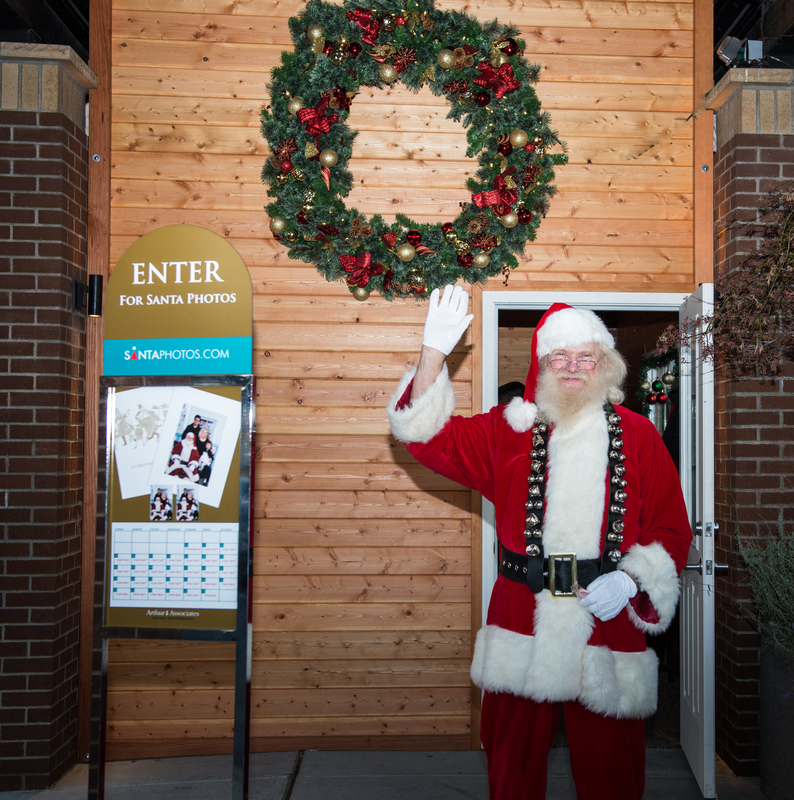 Santa greets all his guests for the 2015 holiday season. If you have yet to get your Santa Photos, you have until December 24th. Santa waves hello from his new location this season: Southcenter Square. If you’re creative and into DIY projects, the holiday season is a great excuse to work on a fun project like making your own wreaths! Whether you live in an apartment, a condo or a house, a wreath adds that little bit of holiday spirit to spruce up your home. Plus, what a fantastic way for you to express your personality and invite others to get in the spirit too! 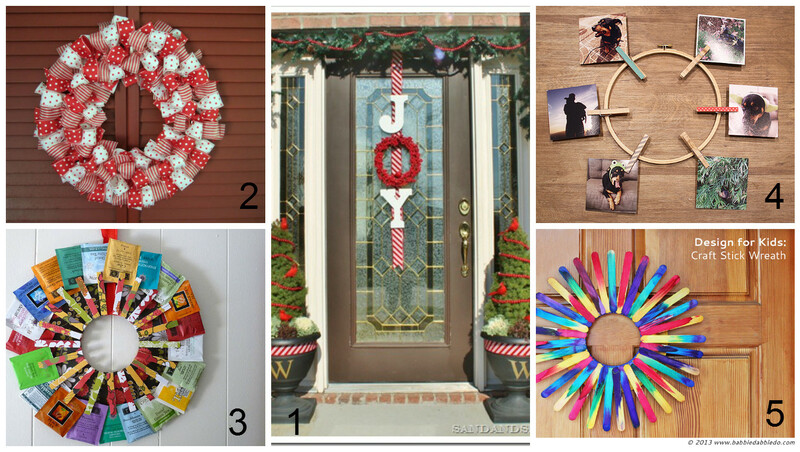 We found 5 creative DIY wreath ideas that you should definitely try. 1. 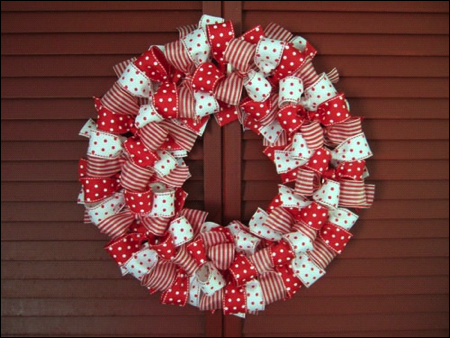 Joy Wreath: This will appeal to the wordsmith in you. The holiday season is a joyful time and this wreath exactly speaks to that! The simple word, joy, can be a friendly reminder for those around you to appreciate all the joy in their lives. 2. Ribbon Wreath: If you are after something simple and absolutely bow-tiful, this is it! Ribbons, metal rings, and voila — all you need to do is put a bow on it! 3. Tea Wreath: For the tea lovers out there, this is one wreath that’d never go out of season! Get as creative as you want with various colors and for this season, holiday flavors, because they’re interchangeable! 4. Instagram Photo Print Wreath: With Instagram popularity these days, this wreath could speak to a lot of you out there. We’re biased because we love photos! You can definitely showcase your personality through your unique photos. 5. Craft Stick Wreath: For the parents out there who are looking for a fun project with your kids, this one is for you. It’s really easy and can be a family activity that you could do this weekend. We bet that they’ll have a lot of fun doing this! Enjoy these few creative ideas to get in the holiday spirit and check out Pinterest for more fun ideas. You will definitely make the people in your neighborhood smile when they walk by your place. Happy crafting! We are in the business of keeping the family tradition alive. The Santa Photography business was first established in 1943 in Seattle by Art French, followed by the Viydo family purchasing the Santa photo set and business in 1962. When the Viydo family bought into the Santa Photography business, their vision was to keep the classic Frederick & Nelson Santa photo set alive for many years to come. 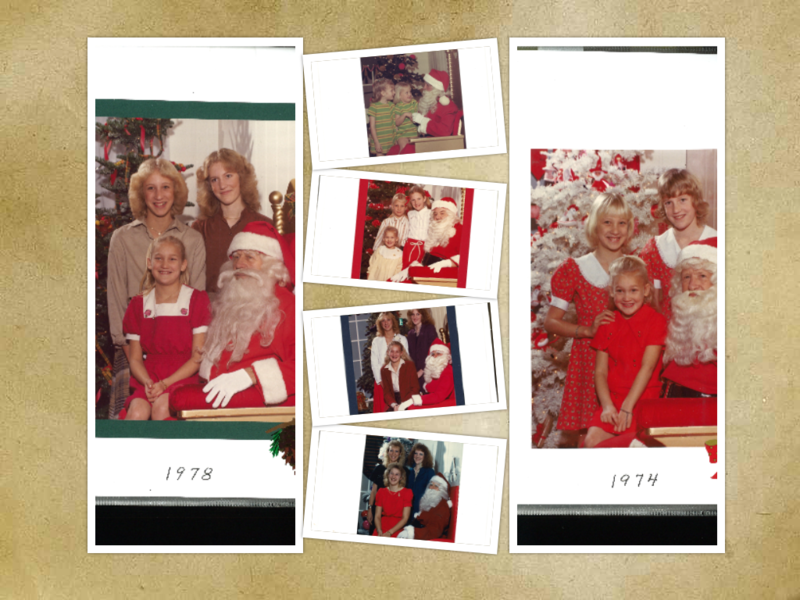 Since the foundation of the company, the Viydo family set forth to create what is now the longest-running Christmas tradition in the country — Santa photos. One might think that once a child grows up and becomes an adult, the tradition of having Santa photos taken ends — if you believe in the magic of the season, then this is not true. We had the pleasure of hearing the story of one family who has kept a remarkable tradition alive and going strong to this day. Karla Evans shared her story with us and also shared her trip down memory lane. 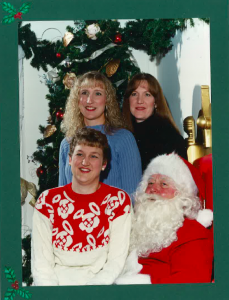 For the past forty nine years, Karla and her family have visited Santa and followed the Frederick & Nelson set from its’ original downtown Seattle location, to where it currently resides, Town Center at Lake Forest Park. Hearing these stories is truly magical and heart-warming. 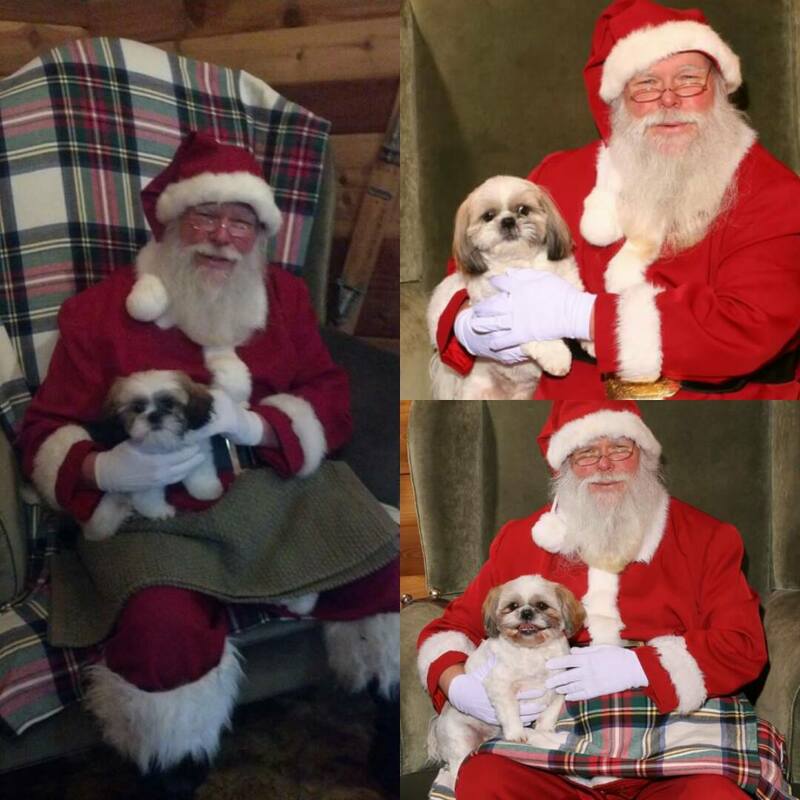 Arthur & Associates is committed to keeping the magic and mystery of Santa alive, and this is a case in point where we are doing the job. Enjoy Karla’s trip down memory lane with a few of her photos from the past. ©2019 Santa Photos, All Rights Reserved.